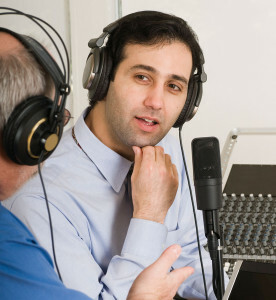 We offer a fresh and innovative approach to each individual coaching session, designed to fit the unique needs of our voice-over talent. Unlike group training, coaching is an individual experience, designed specifically for each person and moves at their desired rate of learning. As coaches, our goal is to inspire you, as models and talent, and motivate you to launch a professional career in the industry. Our team of expert coaches are all currently working voice over models & talent in the industry and you can hear our voices on radio and television around the globe. We will work with you to design a coaching program that is a perfect fit for you-designed to suit your needs whether you are a seasoned VO models & talent, regrouping and rebranding yourself or brand new to the industry. Our coaching programs are available for adults, teens and children who are serious about working in the industry. We will guide you in creating and launching your Vocal “Brand.” We will advise you on target niche industries where your voice will find work and recognition in the local, regional, national and international markets. From our studios in Boston, New York & Miami to our national connections in Los Angeles, the mid west and south to international partners from the United Kingdom and Canada, we will help you get networked globally.